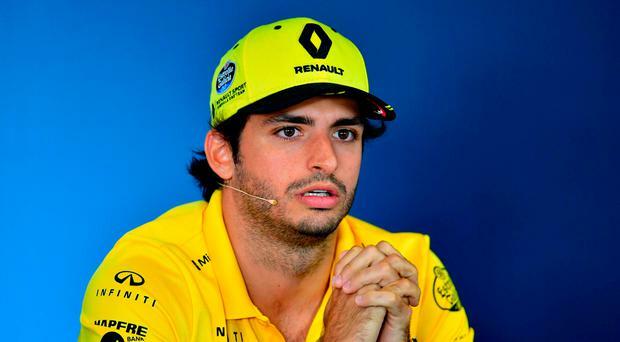 Carlos Sainz has been named as Fernando Alonso's successor at McLaren. Two-time world champion Alonso announced on Tuesday that he had decided to leave McLaren and "move on" from F1 at the end of the season, and Sainz will now replace his fellow Spaniard for the 2019 Formula One campaign. "I'm delighted to finally be able to confirm that I'll be a McLaren driver from the 2019 season," Sainz said. "It's something I've been looking at for a while and I'm very excited about this next chapter in my career. I've been a McLaren fan for as long as I can remember. "It's a great name in the sport with an incredible heritage, and the list of drivers that have raced for McLaren over the years are among the heroes of Formula 1." Sainz (23) began in F1 at Toro Rosso in 2015 after starting his motorsport career in karting and moving on to Formula BMW, Formula Three, GP3 and Formula Renault 3.5. He moved to Renault at the end of the 2017 season and is 11th in the Championship standings. "It's particularly special that I'll be taking his (Alonso's) seat as part of the next generation of Spanish drivers behind the wheel of a McLaren," Sainz said. "I'd like to thank everyone at McLaren for giving me this opportunity to fulfil a childhood dream. "The team has a long-term plan and I'm very much looking forward to playing a key role in its journey back to success." McLaren Racing chief executive officer Zak Brown said: "We're incredibly excited to have Carlos join us as a McLaren driver. We've been assessing him for some time now and rate him very highly among the next generation of young talent emerging through the ranks in Formula 1." McLaren will announce their full driver line-up for the 2019 season in due course.